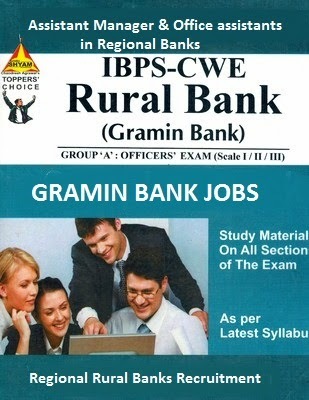 Kerala Gramin Bank ( KGB ) based at Malapuram Kerala has invited online applications from eligible candidates for the posts of 253 Officer Junior Management Scale 1 ( Assistant Managers ) and 430 Office Assistant Multipurpose. Preference will be given to the candidates having degree in Agriculture, Horticulture, Forestry, Animal Husbandry, Veterinary Science, Agricultural Engineering, Pisciculture, Agricultural Marketing and Cooperation, Information Technology, Management, Law, Economics and Accountancy. All educational qualifications should be from a recognized University/ Board.